I admit it, I missed Giving Tuesday this year. I volunteered Monday at Canadian Blood Services, and tomorrow I’ll go to a PALS visit at the retirement residence, but today I did not much of anything at all. I did make J. dinner for the first time in forever, but that doesn’t really count. 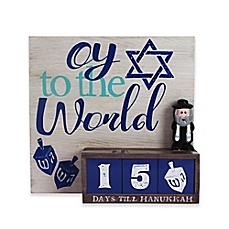 Why did I insist we exchange gifts for each of the eight nights of Hannukah? I can’t be creative for 8 nights in a row. Plus, if I stop at eight gifts, there’ll be nothing for under the Christmas tree. Is this the year I secure a secret Visa, so everything I buy J. does not end up on our joint credit card? How else can I keep my purchases from J.? Last year I used cash, but those young sales clerks did not know what it was. This year, I’ve tried to debit, but mastering this new skill set has been a challenge. Am I the only person under 80 who’d rather go to a real live store than do my shopping on line? I want to see what I’m buying and walk out with the goods. Is that a sin? After a recent experience on Buy Nothing Day (which happens to coincide with Black Friday), I may have to rethink my gifting strategy altogether. I went shopping at the mall with all the old people. Where was everyone else? At home shopping on line, I imagine. I immediately found The Gift, but in the wrong size. (Yes, J., I was seeking an article of clothing, but that’s all I’m saying.) I approached a bored clerk. According to the store’s computer, The Gift was somewhere in the store, but it was MIA during a physical search. The sales clerk checked another location on her computer and found The Gift there. Another extensive ground search at that store revealed that this item too was nowhere to be found. I then learned that “the computers are sometimes not up to date (??? 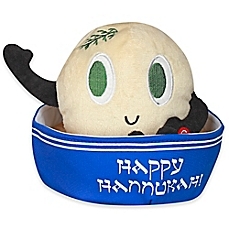 ), and was informed that The Gift was available for on-line ordering. The clerk suggested I take a photo of her computer screen to facilitate my ordering. Was I was being punished for shopping on Buy Nothing Day? Or for deigning to shop in person? I made the purchase reluctantly on line, using our joint credit card. Then I reminded J. of our strict no-checking-the-Visa rule in December. The Gift is now in transit but it has headed east province by province before being redirected west. Hopefully three wise men will drop it off on their way to Bethlehem. In the end, my efforts to ensure those store clerks were not replaced by computers were all for naught. All roads led to my need for a secret Visa. Of course J. has had one for years. 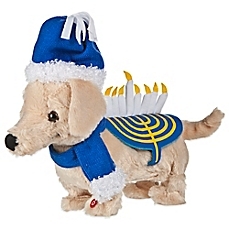 Search me what I’ll find under the Hanukkah bush. Whoops! I guess I’ve been misspeaking by calling my CML drug chemotherapy. The daily medication I’m on is not technically a chemotherapy. My tyrosine-kinase inhibitors (TKIs) are actually called targeted therapies. They stop my CML-causing genetic mutation from producing leukemia cells, and they really work. At last count, there were very few of these deadly cells hanging out inside me. The only problem with TKIs is that they have side effects that can render them intolerable for some patients. I’ve had few difficulties with the medication–I barely notice I’m on it–with occasional exceptions. While it effectively inhibits my cancer cells, my TKI reduces the production of my white cells and platelets as well. That’s why my white blood count is much lower than it used to be, which is not a bad thing. It’s the TKIs’ platelet-lowering effect that is proving to be problematic of late. When my liver was misbehaving a few weeks back, Dr. Blood Lite was concerned about my lack of platelets. There just weren’t enough of those sticky cells swimming around. This makes me vulnerable to bruising and bleeding. I had noticed small changes that I had attributed to the perils of travel. I always come home bruised from vacation, mostly due to my clumsy suitcase handling. This time I was covered in black and blue, although I hadn’t had any major incidents like falling or walking into walls. I must have been going through a sensitive period. My bruises started healing upon my return, and indeed my platelet counts had risen when last assessed. Over the past few days, I may be having a little backslide, however. One bruise I can attribute to yesterday’s gruelling dolphin pose in yoga class. God did not intend for my body to mimic the dolphin. Dolphin pose puts a lot of pressure on my elbows, so the bruising is almost expected. Only this morning’s repeat blood test will confirm whether my platelets have tanked again. If they are low, Dr. Blood Lite may insist I suspend my TKIs for a few weeks to allow my bone marrow a reprieve. As he said, my drug has been working so well that a few weeks off should not be a problem. A drug holiday is not a problem for him, I’m sure, but how about me? If you were on a medication that was keeping you alive, would you want to tamper with it? To me, this feels like bungee jumping with a faulty cord. Oh, and a deadly fear of heights. I know rationally that a break from my TKIs will not make my leukemia cells proliferate wildly, but I’m not always rational at times like this. 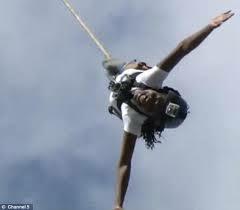 If the doctor suspends my TKIs, I will take that leap of faith since I trust him with my life. I will close my eyes and jump. I may know that I’ll be fine with a short reprieve, yet I’ll feel better once I can resume treatment again. To me, it will feel like being back on solid ground. In the meantime, no more dolphin poses for me. Better safe than bruised. One of psychologists’ core ethical principles is maintaining appropriate boundaries with our clients. We all define appropriate boundaries in our own way, but there are certain immutable guidelines. Here are mine. I do not spend time with clients outside a therapy session, either on line or in person. This means not being Facebook friends, not going for dinner together, not meeting up for the latest exhibit at the art gallery, and not signing up for the same yoga class. If a client ends up in yoga with me, that’s different; as long as I don’t orchestrate our co-attendance, and we don’t have an unplanned therapy session during savasana, I have not violated these rules. To take this one step further, any ethical psychologist does not engage in a sexual or romantic relationship with a client ever. Some might consider such a relationship permissible after the therapeutic relationship ends, but not me. If you can’t figure out why that shift in boundaries would be inappropriate, I’d suggest you not become a therapist. Thus, if I am a client’s therapist, I can’t also be his employee or his best friend or his soccer coach. This philosophy is clearly foreign to the entertainment industry. Daily of late another idiot confesses under duress to behaving in a sexually inappropriate manner with one or two or 60 people over whom he has had power. These abusers’ power lies in their potential positive or negative influence on that person’s career. Maybe I can educate this industry to end these long-standing abuses of power. If you are in a position of power over an individual, whether as a movie producer or a mentor or a coach or a boss or a teacher or a parent or a therapist, do not engage in a sexual relationship with that person. If the object of your interest is 40+ years your junior, let’s assume there is an inherent power imbalance. In other words, date someone your own age. If you hold meetings in your hotel room and forget to wear clothes, your behaviour may be construed as sexually improper. If your ungentlemanly sexual behaviour is the talk of the town, be aware that at some point the police may get involved. If it is too late for you, and you have already made gross (in all senses of the word) errors in judgement, consider that the following are not valid excuses for your behaviour. I was drunk and I can’t remember abusing you. I was confused about my sexual identity at the time. 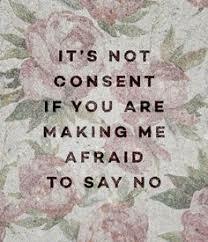 Finally, consider that not saying yes may mean no. If you put on your reading glasses, you might better be able to read between those lines, fellas. Don’t miss the oh-so-subtle signs of your subordinate’s fleeing screaming from your hotel room. We’ve been home from our international adventure for two weeks now, and my post-vacation fever is long gone, but my mellow yellow phase seems to be hanging on. I don’t quite feel like myself, although I feel like I should by now. I’ve been dabbling in yoga and walking the dog, and Jelly and I have been PALSing around, yet when I’m at home, I am crashing. I don’t want to admit that I’m still unwell. I tell myself my symptoms are all in my head. Maybe jet lag is hanging on. Maybe I’m depressed because our trip is over. Maybe I’m overexerting myself during the day. My blood test results were almost back to normal, so I don’t have reason to feel so crummy. But I do feel crummy. I can’t seem to make it through the day, and sometimes not even through the morning, without a nap. Yesterday, for example, I took the dog to the dog park so she could eat sticks (why else do dogs go to the park? ), I came home briefly, whereupon J. and I headed to the grocery store. We were home by 11 a.m. and I felt like I’d been up for hours. As I sat down to script my Monday post, I couldn’t keep my eyes open. Before I knew it, I was talking to the couch. Couch: Hi Annie. Short time no see. Annie: Ha ha. Hey Couch, I was wondering, would you mind if I lay down for a bit? Couch: I was actually hoping for a little alone time today. You’re seeming a little needy lately. How about talking to Bed instead? Annie: Are you crazy, Couch? If I go to Bed, I’ll have to admit that I’m still sick. Bed is where sick people nap. I’m not sick. Couch: All right, but could you take the other end today? My right side is stiff from all this laying about. Annie lays down on the other end of the couch. Within minutes, she is out cold, completely missing who said yes to what dress. About an hour later, she is awoken by the pitter patter of poorly trimmed dog nails. Jelly: [Licking Annie’s face, which is at perfect Basset height] Hey mom, whassup? Annie: [Firmly] Back to your bed, Jelly. Jelly sighs and then briefly returns her bed, whereupon Annie promptly falls back to sleep. Within minutes, Jelly is back up and pacing. Jelly: [Urgently] Mom, pretty pretty please, could you take me out? I really have to go. I’m gonna have an accident. Please mom! Annie: Jelly, sometimes it’s not all about you. And so Annie dragged herself off the couch, put on her coat, and took the dog out to piddle. So much for the nap. And Couch was relieved to finally have some alone time. As you have probably gleaned from this story, I’m not quite myself yet, even though I expected to be back to my normal by now. When exhaustion is my sole symptom, I struggle to accept that I am sick. Would I be more kind to myself if I had a cold? Maybe not. My denial runs deep. Lest I leave you with the impression that if you go to Israel, you’ll come back with a high bilirubin count, let’s talk about the food. It’s incredible, every single morsel. Because Israel is surrounded by countries that are, at best, ambivalent about her existence, Israeli food is largely produced within its borders. In our travels we passed olive trees, date trees, banana trees, grape vines, and pomegranate trees dripping with fruit. The bananas were so tasty, J. refuses to eat another Chiquita. Then there are the milk products, the yogurt and labneh and white cheese, which is a loose facsimile for our cream cheese but smoother and much tastier. 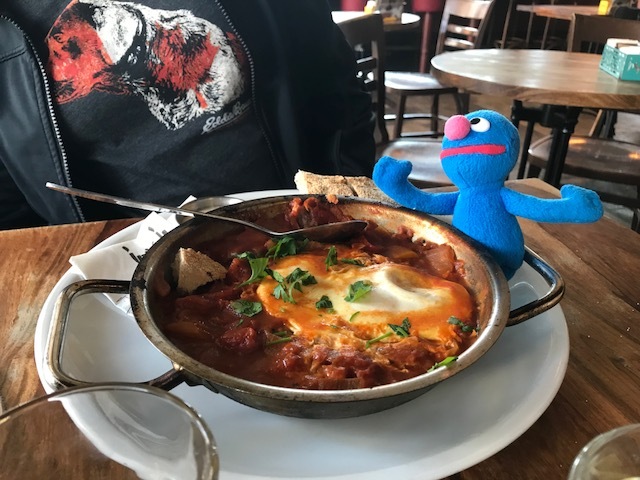 Because so many restaurants and hotels in Israel have kosher kitchens to accommodate the religious Israeli residents and the tourists, many kitchens exclude meat from their menus. There isn’t enough space in this small country to produce a lot of meat. Rather, there is a very large sea known as the Mediterranean that is bursting with fish, and since fish can go either way–it can be eaten with milk products or with meat–the fish is aplenty. Now imagine that all of this food finds its way into the buffets of the typical Israeli breakfast at hotels. This meal is often included in the cost of the hotel. We call it “Israeli breakfast” while Israelis call it “breakfast”. Whatever you call it, it is a perpetual exercise in self-restraint. Imagine a variety of yogurt and cheeses, granola, dried fruits, and preserves. There’s smoked fish and tuna salad alongside a variety of breads and rolls. Add in eggs in various preparations, perhaps in spicy tomato sauce, or as an omelette to order. Of course there are sliced tomatoes, olives, and a mishmash of salads, including Israeli salad (which Israelis call “salad”). It’s finely chopped tomatoes, cucumbers, and onions. Then there’s the stuffed pastry with savoury fillings like mushrooms or cheese. Finally, there’s breakfast dessert, usually consisting of babka, i.e., chocolate- or cinnamon-swirled heaven, and halvah. Halvah is tahini and sugar, with added flavourings like cocoa powder or pistachios or whatever you can imagine, pressed it into a block. For immediate sugar shock, shave some halvah onto your babka. 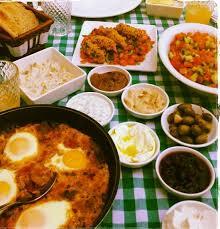 If Israelis ate breakfast like this every day, they’d all be morbidly obese. The full Israeli breakfast is purely a tourist phenomenon, not that I’m complaining. You won’t be surprised to learn I gained 10 lbs over the course of 14 days. But you may be surprised when I tell you that J. gained 0 lbs eating as much or more than me. Then we came home, and within one week on my strict low-sodium diet, I was back to my fighting weight. I’ll admit it feels crummy to gain 10 lbs in 14 days, but losing 10 lbs in a week more than makes up for it. Best diet ever. You’ll come back with your bilirubin level intact, but if you gain weight, it’s all on you. If I’m yellow, must I be mellow too? 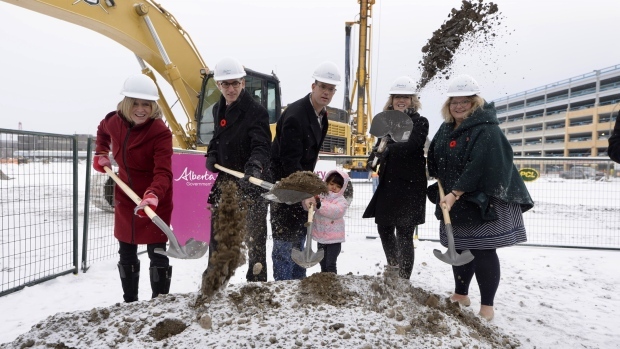 Did I mention they’ve broken ground on the new Calgary Cancer Centre? If I can stay alive for 6 more years, I’ll be in the front row at the ribbon-cutting ceremony. I’m looking forward to more space, more windows, a more upbeat, patient-friendly environment, and better sound proofing. The clinic rooms at the old centre have padded doors, either to protect patients who want to fling themselves around when they hear bad news, or to provide soundproofing between the patients and clinic staff. The soundproofing doesn’t work, though, as I was reminded yesterday when I overheard the nurse unexpectedly scheduling me for an urgent abdominal ultrasound. Turns out that little fever I’d spiked the previous week had wreaked havoc on my body. Dr. Blood Lite was so alarmed by my blood test results, including a spike in my liver enzymes, and a dramatic dip in my platelets, that he initiated further assessment. And just like that, our day went up in smoke. I knew my liver was unhappy. I’d lost my appetite, I’d felt so crummy I’d skipped yoga, and I noticed a few other changes that involve the colour yellow. But I was slowly starting to feel better, i.e., less yellow, so I didn’t think much of it. Off I traipsed to the lab to repeat my blood work, followed by the ultrasound clinic for a wee peek inside. Unfortunately, I was assigned the almost-graduate ultrasonographer, when I needed the 20-year expert. I am not easy to scan. My internal organs are displaced by my ginormous spleen, rendering some hard to see altogether–where art thou, oh pancreas?–so it took Ms. Trainee some time to sort out my innards. She spent a very long time examining one spot over and over. Ever the compliant patient, I failed this assertiveness test and said, “Fine.” If I hadn’t let her continue, would she have had adequate results for the doctor, or would I have had to endure more poking and prodding another day? We’d been at the Cancer Centre for hours already, and I wanted to go home, but even more I didn’t want to have to return. I was ready to put this little yellow blip behind me. Thus I endured another half hour–longest abdominal ultrasound ever–while J. worried I’d died during the examination. Eventually, I stumbled back out to the waiting room. I hope I’d handle a situation like this more effectively were it to arise again. I’d ask more questions and express my needs, both of which I failed to do yesterday. Maybe then the experts could move their magic wand a little faster. I can only hope. Have I ever told you that I studied Hebrew for years, even during university? I even lived in Jerusalem for a year. You might think the year of language immersion would have helped me hone my spoken Hebrew, but you’d be wrong. Back then, I was too timid to speak the language much. Often when I sheepishly tried to use my Hebrew, Israelis responded in English. They wanted to practice their second language as much as I wanted to practice mine. It’s been thirty years since my Hebrew language learning stopped, but during our trip to Israel, more Hebrew came back to me than I expected. Most of the time, I think people understood the phrases and sentences I’d first carefully scripted in my head. Being able to speak the language helped when we needed directions, or the price of something in the market, or where to find the nearest bathroom/babka/baklava. I found I could read many store signs, understand the odd menu, and eavesdrop on the occasional conversation. The eavesdropping was the most fun. Fully fluent I am not, however. Generally, I understood every third word or so. The Israelis that I understood easily, however, were those like me whose first language was English. They spoke with an accent like mine and at a moderate pace. At one of our first lunch stops on our trip, I realised I easily understood our server’s Hebrew. Then I overheard him speaking to the person at the table next to us in fluent English. Turns out he was born in the U.S. but emigrated to Israel with his parents a few years ago. I thanked him for allowing me to speak my slow, broken Hebrew, knowing full well we could communicate more easily in English, during the lunchtime rush. 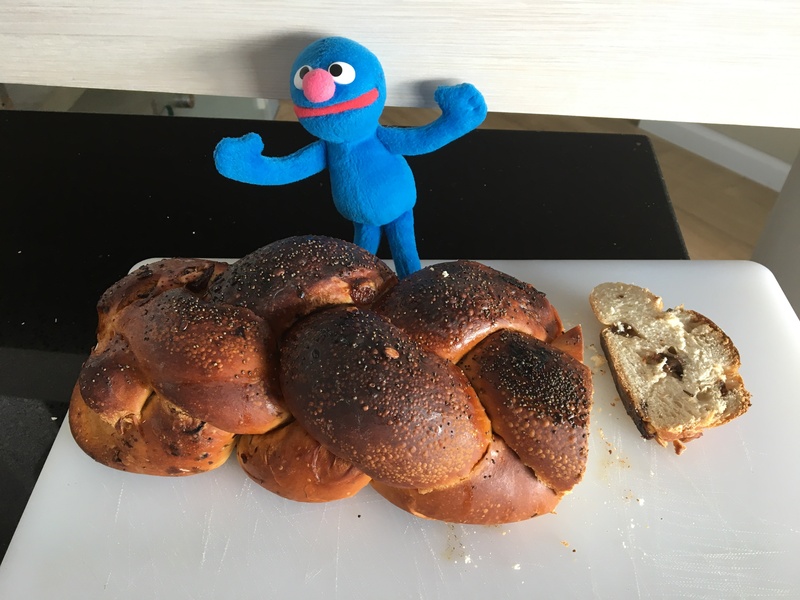 I may have understood what was being said around me, but I often forgot that J.’s Hebrew was limited to “shalom” and “challah”. Once we were in an elevator when a fellow asked her to push the 14th floor. J. was facing away from him, and had no idea this man had asked her for help. 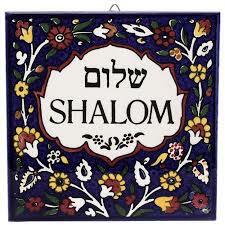 I, in my ignorance, impatiently repeated the floor number to her in Hebrew. Thankfully we sorted the miscommunication out before he’d missed his floor. Over the course of the trip, my question-asking skills improved, but my ability to understand Israelis’ responses, spoken in rapid-fire Hebrew, didn’t. On our second last day, I asked a restaurant server for the washroom, but I didn’t understand his response at all. After standing there momentarily with no idea where to go, I repeated the same question to another server. Thankfully she pointed me in the right direction while repeating the same incomprehensible response. There are several morals of this story. If you’re going to speak with the locals in their language, remember that you’ll also have to understand their responses. If you don’t understand, keep trying, and don’t worry if you sound like a toddler. At least you’ve made the effort. Oh, and don’t forget that your travel partner may have no idea what you, or anybody else, is saying. Trust me, she’ll remind you if you do forget. I have a confession to make: I’ve been home since Monday and I haven’t written. You know that already. 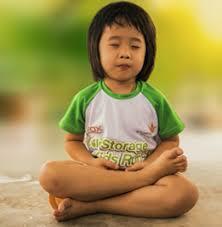 Here’s a better confession: I skipped yoga yesterday, I who NEVER skip yoga. However exhausted or busy or sick I might feel, I always drag myself to yoga. Yesterday I wasn’t up to it, so I slept in. We arrived back home from our whirlwind trip after a looong travel day. I thought I was jet lagged the following morning when I woke up feeling weird, when in fact I brought home something with me. My body went to Israel and all I got was this lousy fever. (I didn’t even get a t-shirt because, despite our relentless searching, the t-shirts were indeed lousy.) I spent two days sleeping on the couch, and by day 3, yoga day, I had a decision to make. I chose sleep. I don’t want to leave you with the impression that I did not do any yoga for the past three weeks, however. I didn’t take my mat with me, but I used many of my yoga skills to my benefit while on vacation. Thanks to my mindfulness training, I was in the moment every single moment. I was taking everything in, sights, sounds, smells, and, of course, tastes. I was so absorbed in the experience, I slept soundly every night so I could absorb all the newness again the next day. When we were walking, I was aware of the importance of maintaining my posture and my balance. I need to maintain awareness of my body in space if I am on uneven pavement in unfamiliar territory. I am pleased to report that I did not fall even once, although I came close a few times. (Let’s say falling in the Dead Sea when I tried to stand from floating doesn’t count.) Sure, I walked into a few people and a few walls, but that is a normal occurrence for me. Surely my intent focus on other experiences distracted me at these times. I am pleased to report that, not only did I manage to vary my squat to differing toilet heights, I did not once wet myself. Thus, my current ill health has much more to do with the sickly person beside me on the flight home than with my fraternising with any germy toilet seats. (I’m kidding. Toilet seats don’t make you sick; they make you wet.) After two weeks of daily squats, I can’t wait to tell my yoga teacher that I am all muscle. My fever has now passed, thank goodness, and I’ve left the couch to venture outside. I’ll be at yoga this Sunday, for certain, showing off my newly firm quads. Sometimes I forget that yoga isn’t a competitive sport. J. and I were reviewing our trip over our last dinner in Israel. For the first time that we could both remember, we were glad we’d stayed as long as we did. In the past, we’ve often been antsy to get home as a trip nears its end. As we were chatting, J. asked me what my favourite part of the trip was. I could not think of one moment because there were so many. Over our two weeks, we saw so many fascinating sights, experienced so many different cultures, and met so many kind people. On our last day in Jerusalem, I insisted we walk above the city on the Old City walls so we could see the hubbub from a different vantage point. Off we went, up and down stairs, along meandering pathways of uneven stone, past one exit and onto the second, at which point we’d have to return to solid ground. It wasn’t an easy stroll but I was up to the challenge. Shortly after the first gate, we were greeted by two Israeli police officers watching over the area below, ensuring everyone’s safety. Although we were walking in what is normally a safe zone, there had been some unrest in the Middle East since our arrival in Israel and security was high in Jerusalem. The sight of the officers made me wonder whether we should proceed, but the officers were fairly relaxed. 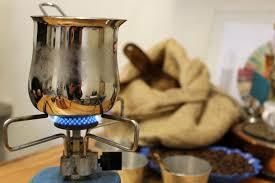 One was busy texting while the other was using a kerosene stove to boil water for coffee. “Oh, you have coffee!” we said, and Mr. Barista immediately offered us some. We declined with thanks, and off we traipsed. Within a few minutes, I tanked (that happens sometimes) so we turned back to the previous exit, again passing by the officers. By now their water had boiled, Mr. Barista had finished brewing his coffee, and he was holding his cup in hand. So I said, “We were just coming back for coffee.” (They didn’t need to know that I am a coffee teetotaller.) The officer held his freshly brewed cup out to me and encouraged me to take it. He was serious. I declined Mr. Barista’s kind offer, thanked him, and off we went. The overture was genuine. In retrospect, I now wish we’d stopped and chatted with these fellows for a few minutes. They were obviously grateful for the company in their isolated post. We witnessed kind gestures like this every day we were in Israel. Soldiers not only protect the country; they help elderly people cross busy streets and interact warmly with children. People were patient and helpful when I tried to communicate in my broken Hebrew. On a crowded bus, younger people stand to make way for the elderly or others in need. And if a police officer happens to have freshly brewed coffee while he stands watch above the Old City, he’ll offer it to you, expecting nothing in return. Perhaps that pervasive attitude of caring for others was the highlight of my trip. Today was a comedy of errors on the vacation front. It’s possible that God was punishing us for doing something on the Sabbath, our day of rest. In retrospect, we should have gone with the flow and taken it easy in Jerusalem. So what if the city shuts down altogether every Friday evening to Saturday evening? No buses, no restaurants, nothing but people spending time with families and resting after their busy weeks. It’s a wonderful notion, yet I couldn’t fathom our day of rest becoming a day of waste. Our time here is so precious that we decided to leave town to visit the desert with forty other restless people. Have I mentioned that I’ve been largely tasked with the vacation planning for this trip? As J. has reminded me repeatedly, these are my people, so I should intuitively know what to do here. I’ve tried to make this holiday perfect from beginning to end, but certain events today were beyond my control. Everything that could have gone wrong did, and I mean everything. Our tour started late, our tour guide was awful, and we spent more time travelling and waiting for other heretics like us than experiencing the sights. We had trouble containing our disappointment, but Grover was having none of our negativity. That guy’s smile is always plastered on his face. He was going to have a good time no matter what. Sure it was hot on Masada, as we were told it would be, but our little monster didn’t break a sweat. That’s because he was wearing a desert-appropriate outfit with minimal coverage and excellent ventilation. 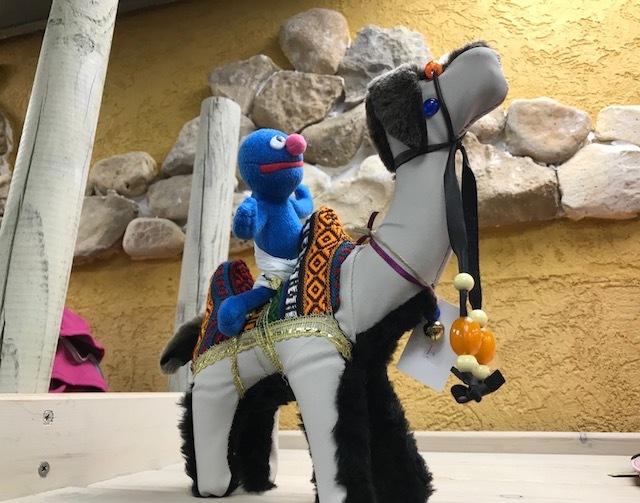 While we were waiting for the others in the Masada gift shop, Grover jumped on the back of a camel for a ride. He was determined to have the time of his life. I’ve never seen a happier little monster. Once we arrived at the Dead Sea, first J. and I floated in the salty water. Since J. is a sinker, her floating was a miracle. Maybe God wasn’t so mad at us after all. Then we did what all must do at the Dead Sea: we slathered ourselves with Dead Sea mud, allowing it to dry before rinsing it off in the water. Today, for the first time in many, many years, my skin feels as soft as a baby’s bottom. Grover jumped in after us wearing his desert-appropriate attire, which handily doubled as a bathing suit. 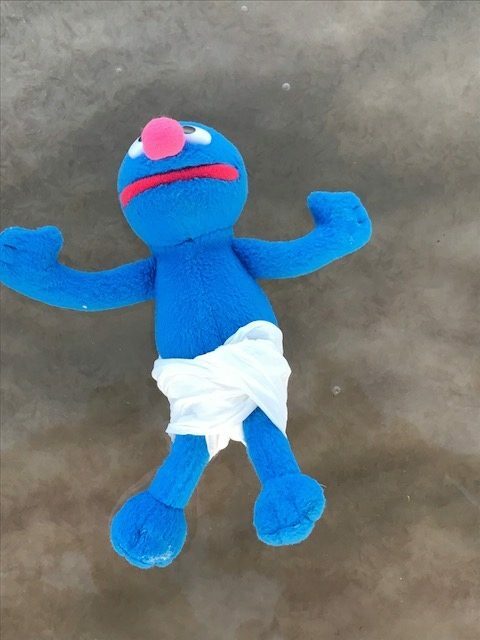 Despite his lack of swimming prowess–his blue fur takes ages to dry–Grover floated in the salty water with ease. He may look a little dismayed in this shot, but he’s merely clenching his lips so as not to swallow any of the salty water. I was not so smart. I can still taste that disgusting water. In the end, we had a good, if long, day. I’m glad Grover was there to remind us that negativity is not wanted on the voyage. Who’d think a little monster would be so full of life lessons?